Thanksgiving - to give thanks, to gratefully acknowledge what has been given to you, especially by God. Kara understood that Thanksgiving should not be a single day a year, but a way of life! Thanksgiving did not begin with the pilgrims celebrating a successful harvest, but long before. Long before the pilgrims celebrated their first thanksgiving, Jesus was giving thanks. 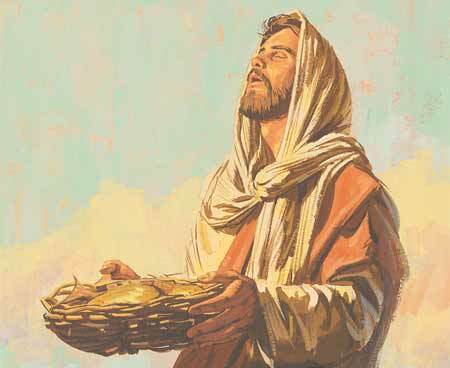 Jesus then took the loaves, gave thanks, and distributed to those who were seated as much as they wanted. He did the same with the fish. (John 6:11, NIV) After taking the cup, [Jesus] gave thanks and said, “Take this and divide it among you.” (Luke 22:17, NIV) And [Jesus] took the bread, gave thanks, and broke it, and gave it to them, saying “This is my body given for you; do this in remembrance of me.” (Luke 22:19, NIV) Jesus, many times over, demonstrated by example, that we are to earnestly give thanks to God our Father before every meal. Long before the pilgrims celebrated their first thanksgiving, the apostles were teaching thanksgiving as a way of life. Let the word of Christ dwell in you richly, teaching and admonishing one another in all wisdom, singing psalms and hymns and spiritual songs, with thankfulness in your hearts to God. And whatever you do, in word or deed, do everything in the name of the Lord Jesus, giving thanks to God the Father through him. (Colossians 3:16-17, ESV) But thanks be to God, who gives us the victory through our Lord Jesus Christ. (1 Corinthians 15:57, ESV) … do not be anxious about anything, but in everything by prayer and supplication with thanksgiving let your requests be made known to God. (Philippians 4:6, ESV) Following the example of Christ, the apostles taught that for Christians, everyday was to be a day of thanksgiving. How have you been blessed by the Lord this past year? For those who have received Christ as their personal Lord and Savior, everyday should be a day of thanksgiving. You can, however, make the fourth Thursday of November a special day of Thanksgiving. 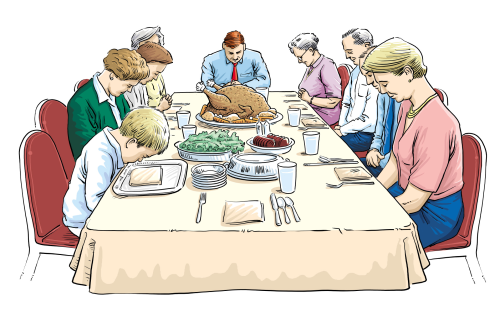 It is a time in which your family can abound in thanksgiving together. So turn off the television! Ignore the lure of great bargains which will be there in the days that follow. Focus on your family. How have they been blessed by the Lord this past year? How have you been blessed by the Lord? Have you thanked the Lord?